Tamil Nadu HSC Result 2017, TN 12th Result 2017: The Directorate of Government Examinations (DGE) made an official announcement of Tamil Nadu plus 2 exam result. The result is scheduled to declare on 12th May 2017 at the morning 10:00 AM. The students who written their TN plus two, 12th exam, HSC exam can check their result on tnresults.nic.in and dge.tn.gov.in official websites. The students those who all appeared on HSC exam 2017 can able to get their Results as freely from the National Informatics Centre at their district Collectorate Office. UPDATE on TN HSC Result: It is confirmed that result will be released at 10:00 AM today morning and students can check their results on tnresults.nic.in once it is released. 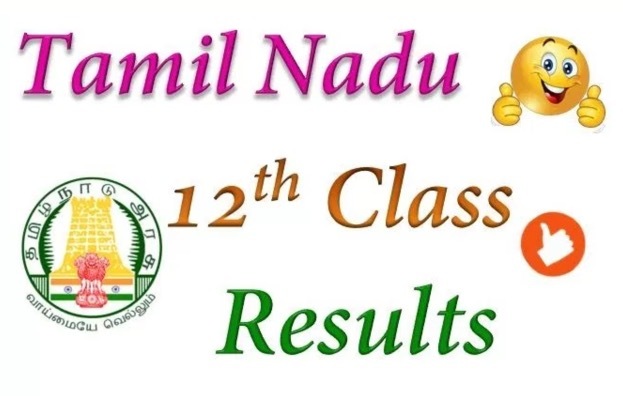 Check here for Tami Nadu 12th results. Since more than 10 lakh people will check their results today, there may be a server issue happen for few minutes. If you face such downtimes while checking your request, we advise you to check your result after few hours as this is a technical glitch due to heavy traffic and overload on their server, which will be fixed automatically in a few minutes. From May 15th, the candidates can be able to download their temporary mark sheets from the official website of the dge.tn.nic.in by providing Roll no. and DOB. Also, the original mark sheets will be provided at the examination centres/schools by the headmaster from May 17, 2017. Every year DGE conducts TN HSC and SSLC exams in March. This year, 12th exams were started on 2nd March and ended on 31st March. The paper corrections got over on April and database process were also completed by May first week. Both HSC and SSLC results were scheduled to release on the same day initially. But due to server overload issues, TN SSLC results are scheduled to declare on 19th May. Like the other state board exams, TN HSC also includes major streams as Computer Science, Biology, Arts, Commerce and vocational courses. TNBSE conducts 10th and 12th exams every year which was merged in 2011, before that exam were conducted by Board of Secondary Education (TNBSE) and Board of Higher Secondary Examinations (TNBHSE). Tamil Nadu HSC students need to score good cut-off marks in computer science to study engineering course in the best college. They need to get the best cut-off mark (around 198 out of 200) to study MBBS course in the government college. This year, more than 9 lakh students were written their TN HSC exam 2017. The students can also check their HSC 12th class result by sending SMS via mobile. They will receive their result details instantly from the database server. Visit tnresults.nic.in official result website of DGE. On the homepage, click on the flashing “Tamil Nadu HSC Result 2017”. Enter toll number, DOB and other fields in the corresponding fields. Take a printout or screenshot of your HSC result for the future reference. Stay tuned for more updates on the TN HSC exam revaluation procedure, revaluation/recorrection fees, last date for applying revaluation and other details.